When you think of coastal Italy, you probably imagine leisurely dinners of rich and savory foods; slowly sauntering through romantic landscapes, then returning to sweet conversation with a glass of Italian wine. A time where you can forget about your email, to say the least. But can you imagine the same slowed-down, ‘dolce vita’ pace on a retreat? 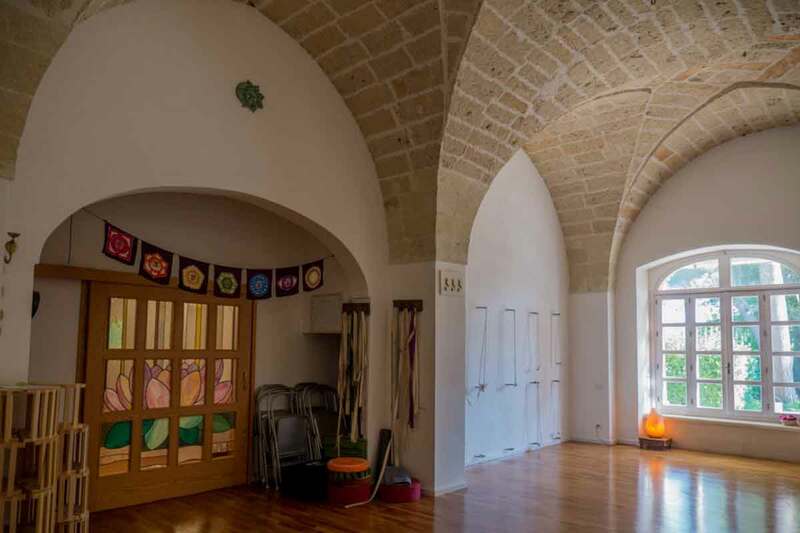 We spoke with Francesca Maniglio, founder of Yoga in Salento, to find out how she intentionally helps people find their slow. “It’s a lot of land and my father inherited it from his father, my grandfather when he was more or less my age. My mother was a well-known landscape architect at the time and was studying for her Ph.D. to become a professor of landscape architecture. As she was doing her Ph.D. thesis she started to experiment what most she liked in her studies, in this place. 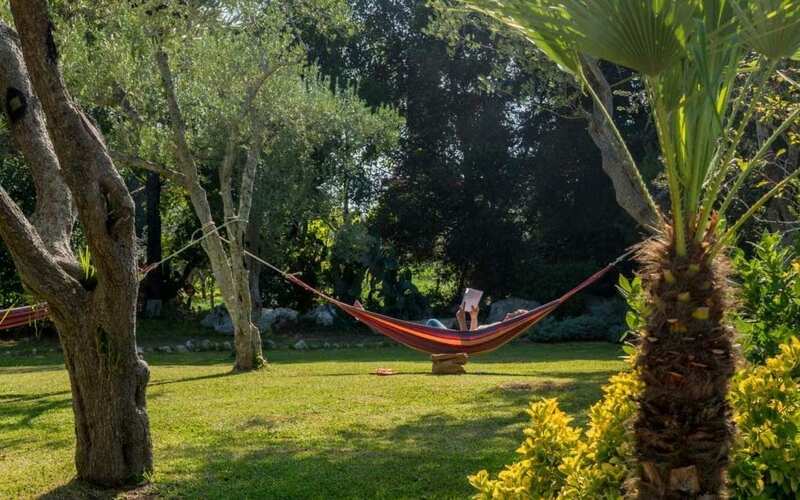 So, the garden is really beautiful and she has been working on it for 40 years now, so there are trees that are really big, it’s a little paradise in the countryside, you can say.” With such an amazing aesthetic in the countryside of Italy, it seemed like a natural fit for Francesca to transform the center into a yoga and meditation retreat. She moved there in 2007 after living in a tiny apartment in New York. Having spent time on the land as a child, her appreciation for space – and the pace of living – were already deeply rooted. This formed the basis for what started as a B&B and quickly evolved. Now? She is proud and grateful about having turned her vision into reality. “There is the philosophy behind it which is to be self-sustainable and aim to zero impact. We are a farm, but a farm without animals. We are a farm for veggies and fruit, so, what we cook comes from our land. 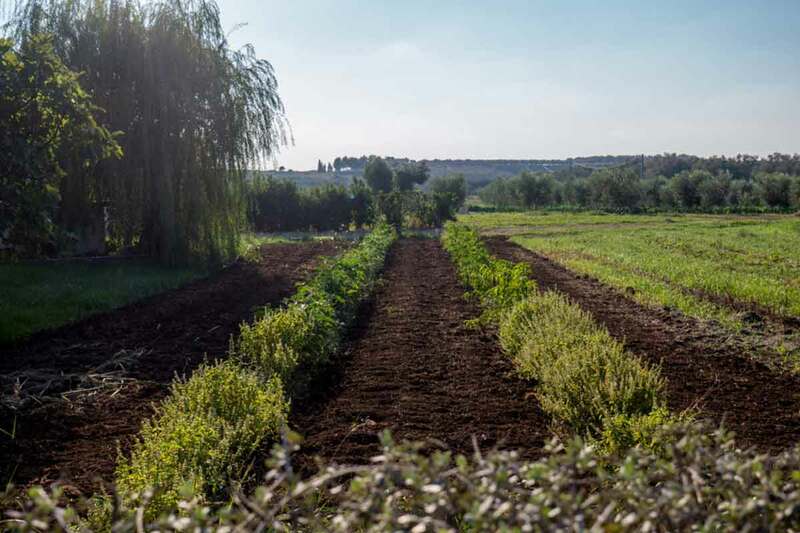 The oil comes from our olive trees, the tomato sauce from our tomatoes, the jams come from our fruit trees and the veggies come from our vegetable garden. And so, the guests see the vegetable garden and they see the stuff that comes from the kitchen. And that’s quite unique.” With solar panels for hot water and photovoltaic panels for power, the center is completely off the grid — a very unique experience, especially for city-dwellers. This doesn’t always mean they like it. It’s a Catch-22. Francesca would ultimately like to create a space where her guests can completely unplug, but does that mean the retreat becomes less viable for those who might need to work a little? What does it mean to really slow down? Slow food. Slow pace. Meditation. Spacious yoga. Spa and massages. Ayurveda and treatments. 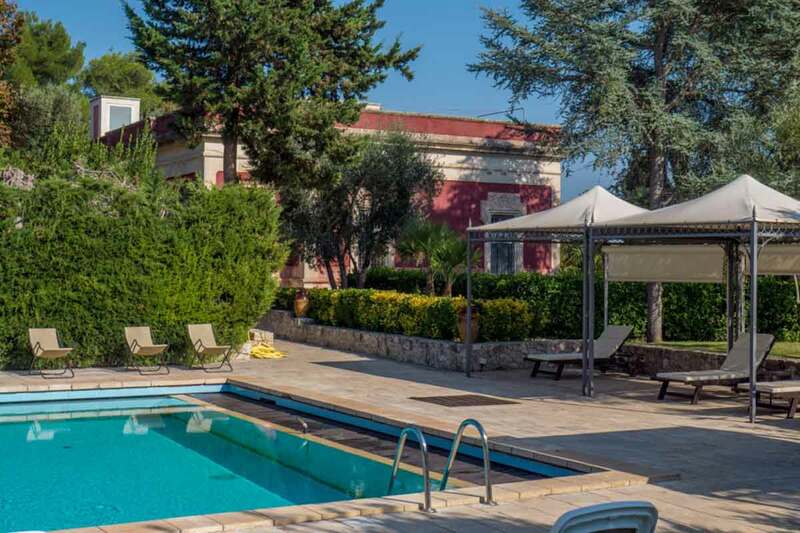 Taking the time to land, really arrive at the center, in its history and beautifully cultivated gardens. Instead of trying to pack in a hundred things on your next vacation, maybe you give slow a try. We know you won’t regret it.